A Kilo of Kindness for a treat of ice cream’ is a global CSR campaign by Mövenpick Hotels & Resorts in which the Mövenpick properties collect learning supplies such as books and stationary for students of less privileged backgrounds. 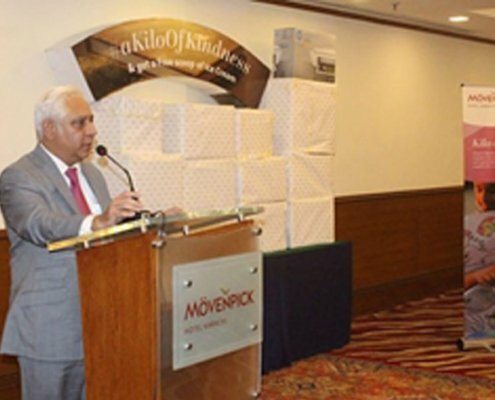 Mövenpick Hotel Karachi has also taken part in the campaign where school supplies were collected for a small charitable educational institute i.e.“The Street School” run by two enthusiastic teenagers in the city. Ferozsons Laboratories Limited lent support to this campaign as a corporate citizen that will help in equipping school supplies to the kids at the school. Our CSR vision is always focused on supporting such activities that sustain a healthy, educated and humane society.